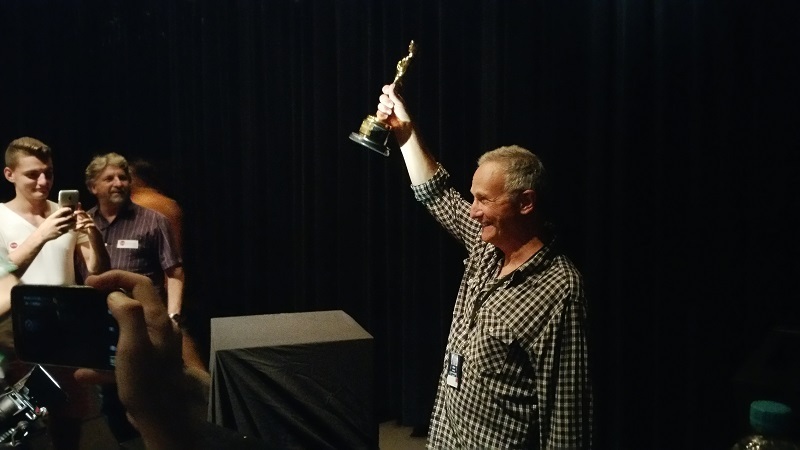 The audience was in awe as Academy award winning Ben Osmo described the vast array of radio mics, transmitters and challenges associated with capturing sound and images for Mad Max: Fury road in the Namibian desert. It became apparent early in the presentation why Mad Max: Fury Road received so many awards at the Oscars. The commitment and passion amongst the crew rang home to every member of the audience. Flanked by the subtly illuminated gold statuette, the evening kicked off with Ben narrating a clip demonstrating the myriad of antenna, transmitters, receivers and recording devices mounted in and around the various mobile “war” machines, further complicated by the need to record and relay sound and vision from vehicles travelling at speeds up to 80 km/h with 8 km stretches across the Namibian desert. Accompanying Ben on stage was Greg Roberts and Jack Swart. Jack was bought on board to utilise his extensive broadcast and OB knowledge and experience to assist in the orchestration of live video and audio feeds from the various sources. 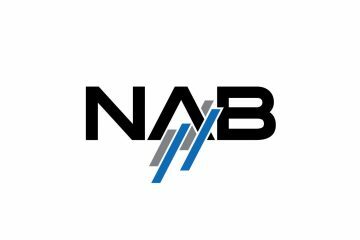 He successfully adopted broadcast technologies to enhance on-set monitoring and communications. Greg Roberts, who masterminded and supplied most of the linking equipment for what was called “Fury TV”, provided Director/Producer George Miller and 1st Assistant Director, P J Voeten simultaneous live camera feeds from the various vehicle mounted cameras during filming sequences enabling them to make the creative decisions on the fly. Greg Roberts was bought in to the multi-million dollar project early in the piece and, as he describes, was fortunate enough to have complete control over all RF equipment used during the film shoot. Without the meticulous frequency spectrum management for the project, what was achieved would not have been achieved. 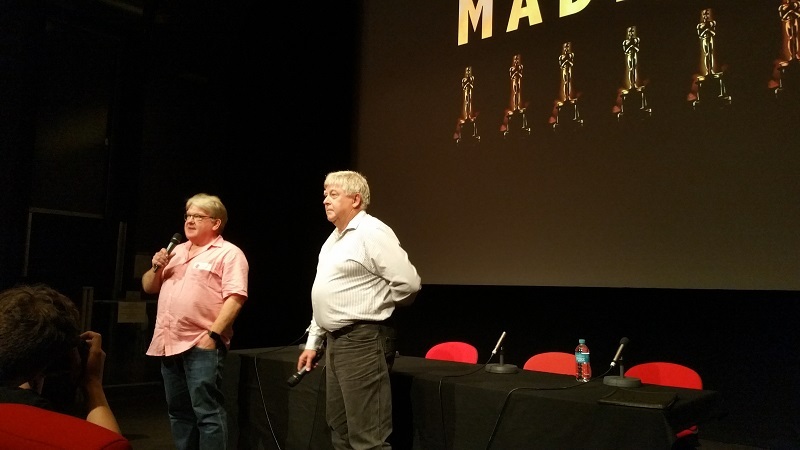 SMPTE Australia section thanks Ben, Greg and Jack for this exhilarating look at the behind the scenes technical challenges that help make Mad Max: Fury Road the most successful Australian made film in Oscars’ history. 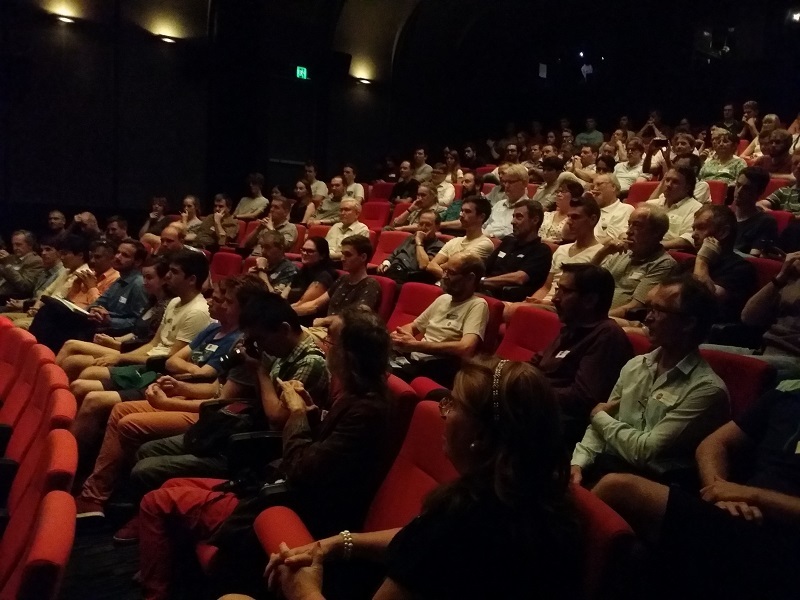 We also thank AFTRS for staging this event in their theatre. In line SMPTE’s educational outreach, it was great to see many students from AFTRS and JMC Academy who now have a better understanding of what goes on behind the scenes of a $150M budget film. Also in the audience were members of ASSG (Australian Screen Sound Guild) and WIFT (Women in Film and Television). 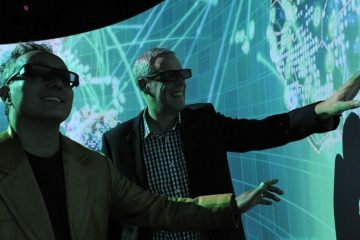 Don’t forget to book in for the next SMPTE Australia section meeting to be held at Broadcast Australia, Gore Hill NSW.